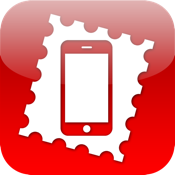 The application allows you to create a real postcard with your own theme and send it printed to the addressee´s post box. Simply take a photo by your mobile phone or choose a picture from the galéry of your phone, choose from the available frames, fonts and colors, fill in an address and a text, simply pay and the real postcard will be delivered to the addressee. You can send a postcard from anywhere to anywhere and after finishing of the process the postcard is immediately sent. You can put a sound recording on the postcard which can be played by reading the QR code on the backside of the postcard.